We chose the boat name Agape as a constant reminder of how we should love. As we sail around the globe we have decided to not only seek out the most beautiful places, but also the broken places in the world as well. These are the organizations, non-profits and people we have found to be on the front lines in these hard places, giving their lives to serve those in need, making the broken places around them truly beautiful. We fully support these groups and the work they do and we encourage you to get involved in the amazing work that they are doing, whether thats donating, sending supplies or even going down to visit or volunteer. 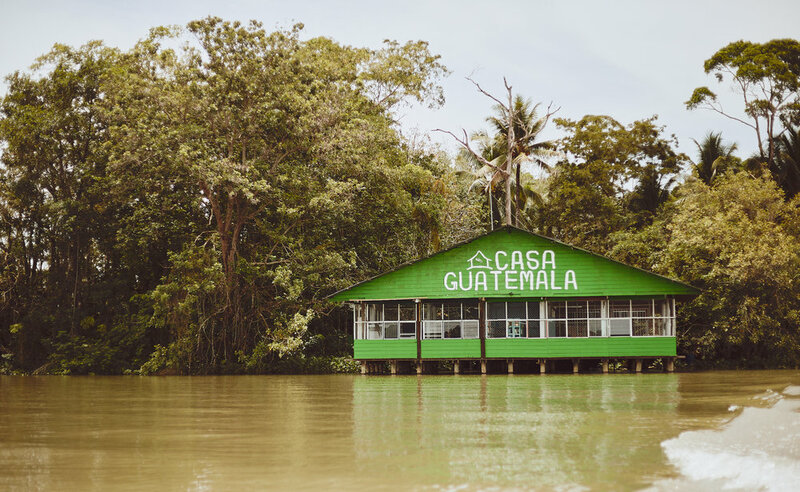 We first heard about Casa Guatemala while looking for a cheap hostel to stay at while traveling through the Rio Dulce, Guatemala. We hadn’t traveled through the Caribbean coastline of Guatemala before and were excited to see this famed port and cruiser hang out. True to our style, we showed up starving and exhausted in the Rio dulce after a ten-hour day busing over mountains and down sketchy dirt roads, with no plans and nowhere to stay and most definitely needing showers. After finding a restaurant with WIFI and grabbing a bite to eat, we found a hostel near by called The Backpackers, run by a children’s home called Casa Guatemala…. We had travelled into and through Chinandega a dozen or so times already and for the most part we didn’t think much of the city. When you are just trying to provision the boat or make sure you catch the right bus connections in a sea of people, all yelling different and strange sounding towns at you it is hard to catch a breath, let alone take in a city. I bet it was our 14th or 15th time into a Chinandega, and the third straight day in a row making the 20 mininute taxi ride, but this time was different. We were taking our friend Christianne to the bus station early so she would make it on her early morning flight out of Managua…. 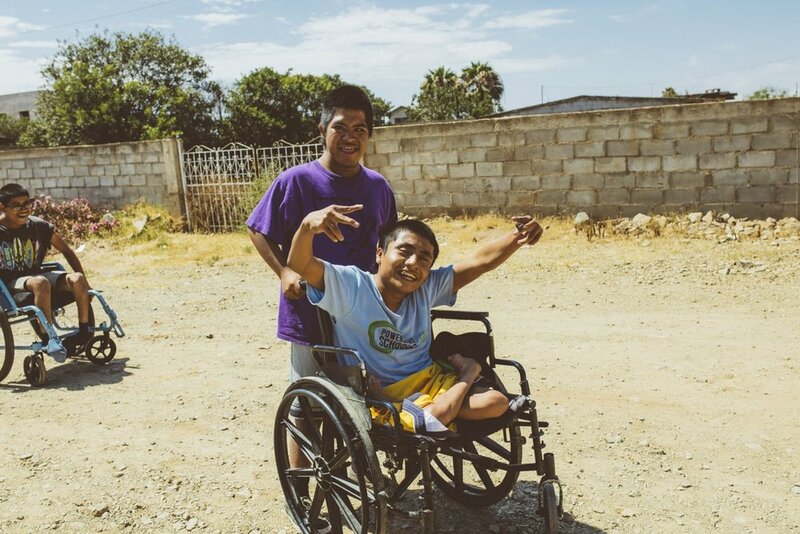 The Gabriel House is a nonprofit rehabilitation center for children with disabilities who have been orphaned, abandoned, or whose families are unable to take care of them. Located in Maneadero, Mexico, just a few miles south of Ensenada. When we first visited The Gabriel house, the staff had gone without their monthly salary to make sure the children’s needs were being met since the home struggles most months to meet their budget as the government doesn’t provide enough assistance to meet all the children’s costly needs…. We found Casa Hogar Los Angelitos while wandering the busy streets of Manzanillo, Mexico. The home was first started by an american woman named, Nancy Nystrom, following the loss of her son, Fred. In 1994 she founded The Children’s Foundation, a 501c3 corporation located in Colorado and in 1995 Nancy founded the Mexican Civil Association Casa Hogar Los Angelitos for the purpose of rescuing and changing the lives of children in extreme circumstances…. Hogar Belen Managua is located in San Antonio Sur and began operations in 2000. As the first location of MSC Nicaragua, Hogar Belen Managua provides residential accommodation and care for 30 children ranging in age from six months to sixteen years. The children have disabilities which include Down syndrome, microcephaly, cerebral palsy, hydrocephaly, autism, and infantile cerebral paralysis…..